This recipe is a great side dish for any smoked meats or can be a delicious addition to soups and stews. Put the squash in the smoker for a few hours before you are ready to eat. 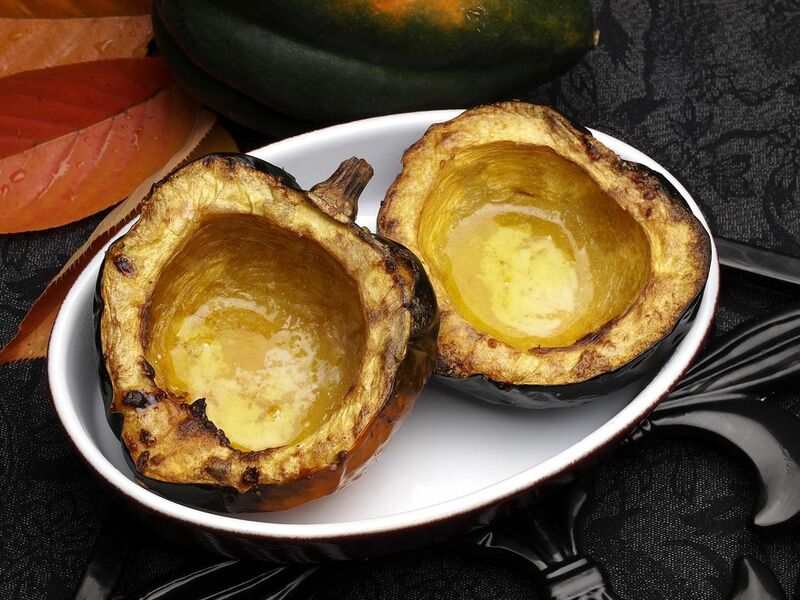 Apply olive oil to cut side of acorn squash. Cover with foil, making sure to poke holes to let steam and smoke through. Prepare smoker. Place squash on smoker rack cut-side down. Smoke at 225 degrees F/100 degrees C for 1 1/2 to 2 hours. When squash is done, remove from smoker and allow to sit. Meanwhile, melt butter, sugar, and spices in a saucepan. Place a spoonful on each squash half when ready to serve.